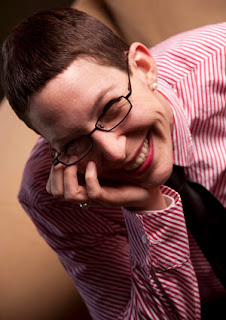 The Compulsive Reader: Interview with Terra Elan McVoy! 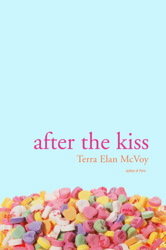 Terra Elan McVoy is the fabulous author of three YA books--Pure , After the Kiss, and the recently released The Summer of Firsts and Lasts, which just exudes summer and fun! If you haven't picked it up yet, I definitely recommend that you do, especially if you are in need of a good beach or camp read! I met Terra while I was in New York (she's very lovely in person!) and she very graciously agreed to this interview! TCR: What came first--the idea to write a book from the points of view of three sisters, or the idea to set a book at a summer camp? TEM: Definitely the sister idea came first. I myself am the oldest of three sisters, and I was just really interested in trying to talk about the dynamic you have together in that kind of a sibling triangle: How the eldest and the middle have their own issues/relationship, and the middle and the youngest, the youngest and the eldest—plus all three of them together. It’s just a lot of interesting connections. The summer camp thing came up because I needed a place where they all three were forced to be together (unlike home or school where they could potentially escape with friends or whatever), but also had their own things going on. TCR: What were some of the challenges of creating each sister's voice? TEM: I think the biggest challenge was letting go of trying to force that individuality too much. Because it’s natural for them to sound and talk alike. Growing up, nobody could figure out if it was me, my Mom, or either of my sisters whenever we answered the phone. And you know how, after hanging out with someone for a long time, you can start talking like them? It’s like that. They sound alike somewhat because they’re around each other all the time. But another thing I wanted to examine in this sister book was the challenge of making yourself distinct in this kind of combo. Of course, they are individuals so they do have their own traits (Calla talks in rushed, run-on sentences full of hope, and Daisy’s are usually shorter and more observant. Violet is somewhere in between, with a lot of internal gazing going on. ), but I think the main distinctions between the girls are found in their personalities, and how they handle what’s going on in their lives. TCR: Did you go to summer camp when you were a kid/teen? What are some of your favorite memories from camp? TEM: We went to this amazing place called Montreat that was sort of half camp, half mountain town/conference center. We’d go up with our youth groups in high school and rent a house or a cabin for our whole group. Activities took place in town –it’s a whole little town, with everything walkable—at the convention center and other spots. There was a lake in the middle, and mountain trails to hike, and this big gorgeous hotel, and awesome ice cream shop, streams to do rock-hopping in . . . etc. Everybody got divided up into small groups that would meet during the week. (So you’d have your home group, and your small group.) You’d meet other high schoolers from all over the Southeast—everybody in this intensive program together (yes that had a keynote and warm-ups in the morning, sort of like Camp Callanwolde)—and it really had a huge impact on me. I remember breaking down into total sobs when I came home from my first experience there! There are too many really amazing memories from there (including many with my sisters), but one of the best stories is that I met (and fell in love with) a guy at Montreat who became my date to the Junior Prom! 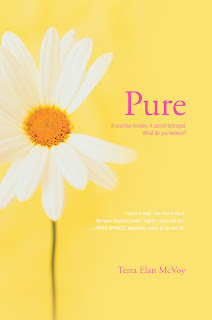 TCR: What's your idea of a perfect summer day? TEM: I don’t live near the beach any more, so I really miss my youth growing up near the Florida Gulf Coast. Perfect summer day for me would be packing up the car, driving with my family to St. George Island (90 minutes away from our hometown), and spending the day reading, playing, swimming, hanging out, going for walks, building a sandcastle, watching my dad fish . . . then packing everything up to drive home, picking up a bunch of fresh shrimp on the way. At home, I’d take a fantastic-feeling shower and then spend the evening on the screened-in porch at my Dad’s house, eating shrimp and playing games with everybody I love. TCR: Can you give us any tidbits of information about your next book? TEM: Ha ha! 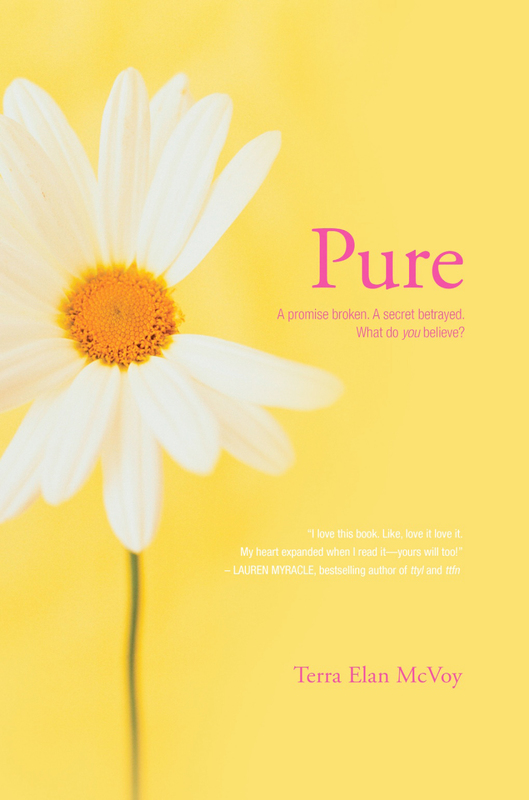 Well, I can’t say a lot, because I haven’t even seen what my editor thinks about it yet, but I’ll say that I got inspired to write it thanks to Daisy and Rutger’s friendship in The Summer of Firsts and Lasts, plus Calla and Duncan’s too. I was just interested in all the different complications that can come up, being friends with boys, and wanted to write more about it! TCR: Thanks so much, Terra! 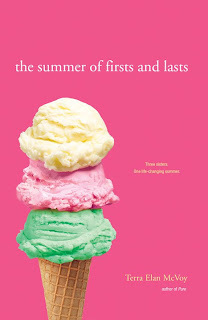 Definitely check out The Summer of Firsts and Lasts! You seriously will not regret it! I've heard a lot about these books. Thanks for the interview!